A large percentage of the European SMEs and mid-caps from all sectors have limited knowledge of what smart electronics and smart systems can do. The situation is aggravated by the fact that the “Advanced Micro-Electronics (AME) and Smart System Integration (SSI)” technologies are a large family of technologies with diverse potential per sector: Micro-Nano- Bio-Systems are significantly more valuable in the health domain than in the manufacturing domain while reversely, smart system integration and combined sensing may be more effective in the agriculture sector. They also lack easy access to diverse competencies, primarily technological and scientific, but also competencies regarding business development and market access. While these competencies often exist locally or abroad, they find it difficult and costly to search, find and connect with the relevant players and the resources/ competencies they possess. Even when digital innovation is undertaken, companies must face the valley of death to reach TRLs of 7 or higher. One reason for this is the inability to reach critical market mass. This challenge could be addressed by pursuing user-driven application development followed by targeting a sufficiently large group of customers, most likely located across national borders; however, this strategy requires a set of expertise not commonly available to SMEs. ICT Innovation for Manufacturing SMEs (I4MS) is addressing process innovation through digital technologies such as simulation, modelling and data-analytics; robotics; advanced lasers and smart sensors; cyber-physical systems and the Internet of Things (IoT). Currently 40 competence centres in 17 Member States, 150 experiments and 150 SMEs or mid-caps are participating in I4MS. Smart Anything Everywhere (SAE) is supporting product and service innovation through digital technologies. Clustered in four projects with a total budget of 25M€, SAE aims to support at least 100 user-supplier experiments with 200 SMEs and mid-caps. SAE actions aim at stimulating broad adoption of novel embedded, advanced microelectronics and smart integration systems technologies and their enablers in industrial and societal applications important for Europe. Experiments should bring together all actors of the value chain and experts necessary to equip new users with novel products or services. With special emphasis on SMEs, the focus of these experiments is on the adoption of emerging innovative technologies and processes, which are customised, integrated, tested and validated in the experiments before being able to compete on the market. Provide financial support to SMEs on the demand and the supply side to master the digital transformation. The underlying idea is to enable and to foster the collaboration of SMEs across their value chains via European competence centres / digital innovation hubs (e.g. top universities, application- oriented research organisations, platform providers) in predominantly cross-border experiments to create a win-win situation for all. Within the focused experiments of short duration, brokerage and transfer of technology know- how are provided by the Digital innovation Hubs (DIH) to the SMEs. SAE not only resolves the competence gap of SMEs, but also provides them with the financial means to adopt leading edge digital technology. In this way, the SMEs are capable to bring innovative and highly competitive new products and services to the market. Innovative platform providers profit from SAE as the experiments enable them to mature their existing technologies. The experiments also broaden the field of application and ultimately open them new markets and services. Last but not least, the competence centres benefit from the initiative, as they extend their largely research oriented activities with industrial projects thereby gaining a new sustainable business model. To allow for a lean and efficient support to the end user SMEs, the administrative procedures to benefit from EU funding have been simplified further using the flexible and dynamic "Financial Support to Third Parties" scheme of H2020 ("cascade funding"). Rather than entering into a direct contractual agreement with the European Commission, companies sign a light contract with one of the projects' beneficiaries. DIATOMIC is an EU H2020 funded project, which aims to establish a sustainable ecosystem, which will facilitate Advanced micro-electronics components and Smart System Integration (AME/SSI) based innovation in the health, agrifood and manufacturing sectors, all of which are under-digitized and of prime importance for the European society and the economy. Ultimate goal of DIATOMIC is to support the take-up of electronic components, sensors, smart objects and systems by providing the means to gain access (i) for SMEs, academia and research institutes to advanced design and manufacturing facilities and (ii) for SMEs to rapid prototyping capabilities. 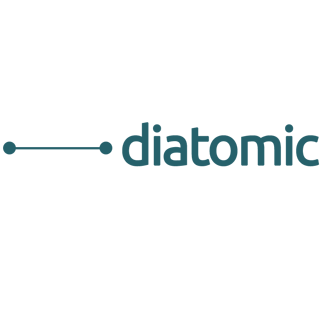 DIATOMIC consortium is a fusion between: technological research centres (IPA, IPN and BIOS), CCs (INTRA, LIB and SYN), innovation consulting (INO), SMEs community (F6S) and investors (FASTT). DIATOMIC ecosystem draws from the advanced technological excellence of the DIATOMIC consortium to execute three sector-specific cross-border Application Experiments (as best practices) to help technology adopters, end-users and smart solution developers realise tangible benefits of digitization. In-house excellence in dissemination is leveraged to ignite further ideation of digital products, processes and business models from non-tech SMEs and midcaps; thus promoting interest in experimentation with AME and SSI. Two open calls are organised to attract and select the best of the best consortia, consisting of tech adopters, tech providers and Competence Centres (CC). Application Experiments will be funded to generate AME/SSI-based products, processes and business models with strong market potential. While DIATOMIC is apt for all sectors of the EU economy, we have selected three domains on the basis of: (currently low) digitization level of enterprises, (high) market size and potential and (high) societal importance. Their potential to act as flagships for industry digitization based on AME and SSI was also considered. • Thehealthdomain:SmartSystems,withtheirin-builtadaptivecapabilitiesandgreatpotential for portability brought about by miniaturization, can bring benefits across the entire spectrum of healthcare and wellbeing. Applications include personal diagnosis, monitoring and fitness, treatment and implants and ultimately, enhanced levels of telemedicine across the community. The health and personal wellbeing sector worldwide is immense in value: in 2011, $309bn for the worldwide medical device sector, including $90bn for medical electronics1. Currently Smart Systems account for ~10 to 12% of this but could rise to ~40% of the $130bn of medical electronics market (€50bn) by 2020. According to surveys2, Smart Systems providers in the health sector rated “increased functionality” as the most important driver to compel the use of new devices or techniques compared to, in descending order, reduced cost, increased reliability, new markets, global competitiveness, simplicity in use, and legislative drives; the most obstructive difficulty reported was “untried techniques”. 3 IBM Institute for Business Value, 2015. Device democracy: Saving the future of the Internet of Things. 4 FoodDrinkEurope, 2013. Trends of the European Food and Drink Industry 2013-2014.
of the global food and drinks market, but its share has dropped from 20% in 2001 to 16% in 20125. As noted by the EC, slow growth in labor productivity and added-value have decreased the competitiveness of EU`s food producers6. R&D and innovation in the industry is ranked as below average7. Thus, investments in digital innovation have large inherent potential: production is a complex “input-output problem”8 and supply chains, manufacturing/distribution a logistics problem; Smart Systems can radically increase data collection and processing enabling new efficiencies. In addition, consumer driven trends are changing the sector: interest in the link between food and health has changed mainstream consumption patterns by valorizing quality aspects related to good health. ICTs have the potential to enforce current strengths of the EU agrifood sector on the global market, and generate new products, processes and business models that better deliver value in line with arising consumer trends. • The manufacturing domain: Manufacturing is among the most impervious to digital change with just 12% of high digital innovation index9. Smart Systems promise to carry out local optimization underpinned by local knowledge bases, ranging from the examination of raw materials and parts, predicting subsequent machine settings to compensate for variation, all the way through to optimizing manufacturing parameters. Smart Systems could compensate from measurements on-line, at end-of-line or from live data collected in the field as the product is used. The manufacturing equipment sector in EU27+EFTA is estimated at €57bn. Currently, Smart Systems account for ~10% of this, in machine automation, but could rise to ~20% by 2020 (€12bn). Front-running technologies are Microsensors & Microactuators, MEMS, MOEMS and Microfluidics, Design & Simulation, and Semiconductors & More-than-Moore technologies. Smart Systems providers to the Manufacturing automation sector rated “increased functionality” as the most important driver compared to, in descending order, reduced cost, increased reliability, global competitiveness, new markets, simplicity in use, and legislative drives to compel the use of new devices or techniques; the most obstructive difficulty reported was “fragmented supply chain”.